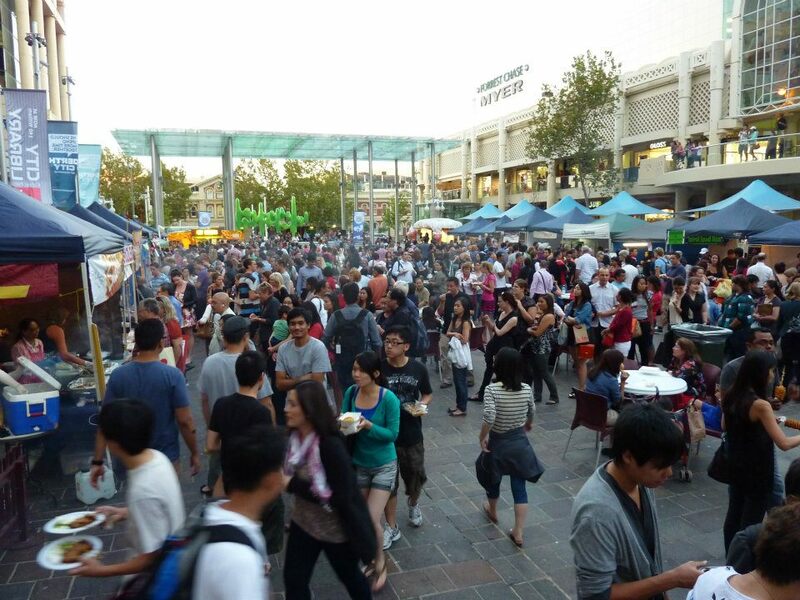 I’m Perth born and raised, so perhaps hearing the occasional person state that Perth can be slightly boring – “nothing to do, no night life, no good restaurants” etc, etc grates on me slightly. Particularly on the restaurant front. I think we are spoilt for choice in Perth these days. 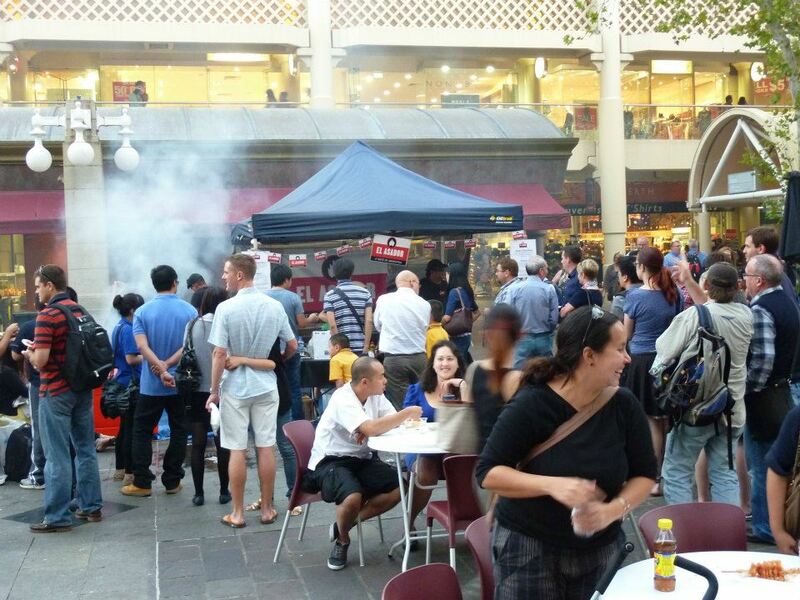 Even more encouraging has been the influx of more food related events. 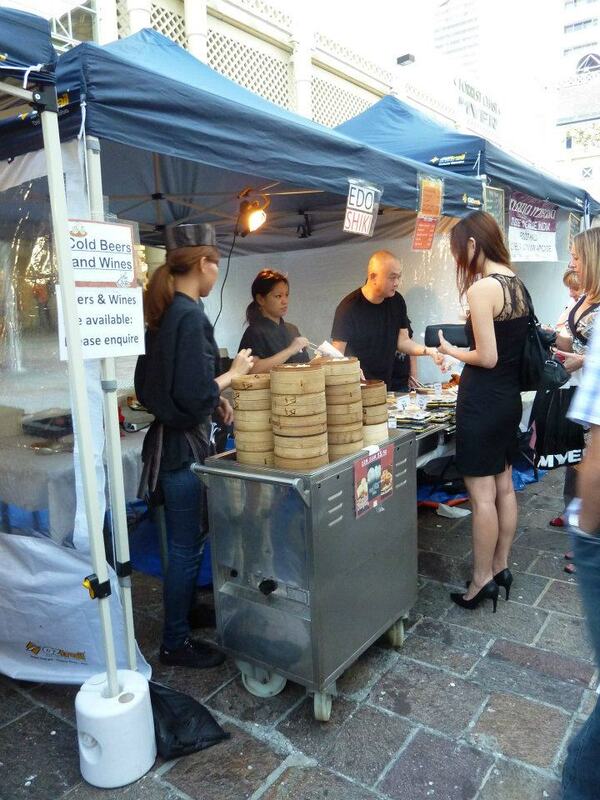 We’ve got the Perth Good Food and Wine Festival, the Mundaring Truffle Festival, in a few weeks there’s a whole weekend of foody action planned in Margaret River and for several months from October through to the end of March, every Friday in the CBD they have been holding the Twilight Hawker’s Markets. I’m really not sure what took me quite so long to visit and in hindsight leaving my run until the second last week was perhaps not the wisest decision, but hey I made it along and am definitely glad I did. I parked my car at the train station car park and wandered through Myer towards Forrest Place and as soon as the doors of Myer opened – wowers!! The intense smell of all the flavours cooking down below was just amazing. Anyone heading home from work on a Friday would be hard pressed not to stop in for a tasty snack before catching their bus or train. 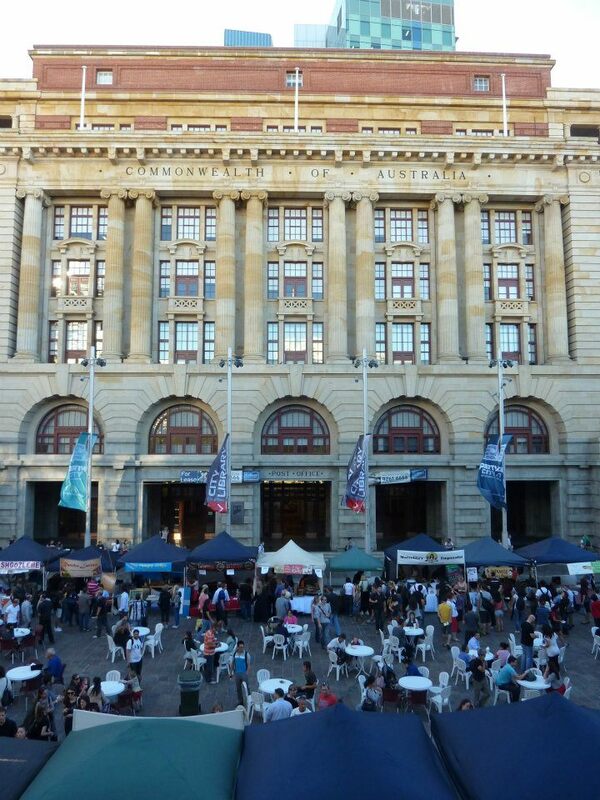 The markets go from 5 til 8 each Friday and I was meeting my sister and her friend to have a wander around. Already, just after 5 there was a very decent crowd in attendance. 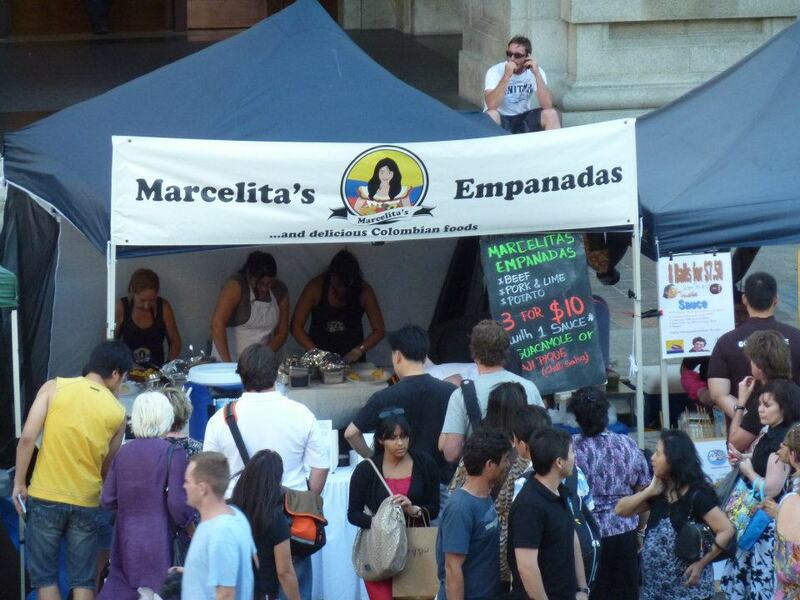 Whilst there were many great stalls that I was keen to stop by, the one that had gained my attention before arriving was Marcelita’s Empanadas. 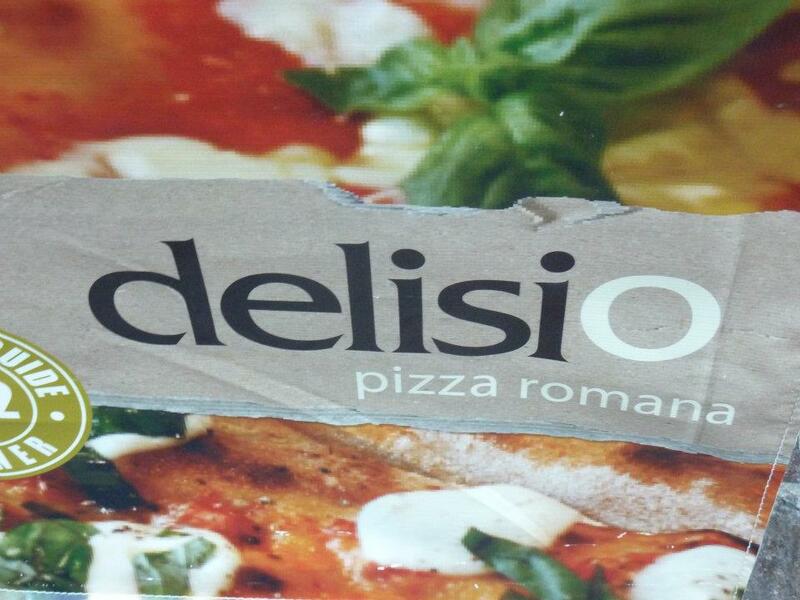 I had seen the name mentioned on Facebook many times in the past few weeks and always in glowing reviews. The line for these deep fried wonders was already quite long, but I was committed to trying them, so I joined the queue. It didn’t really take too long and you can’t fault the wait when you see that everything is being made fresh. 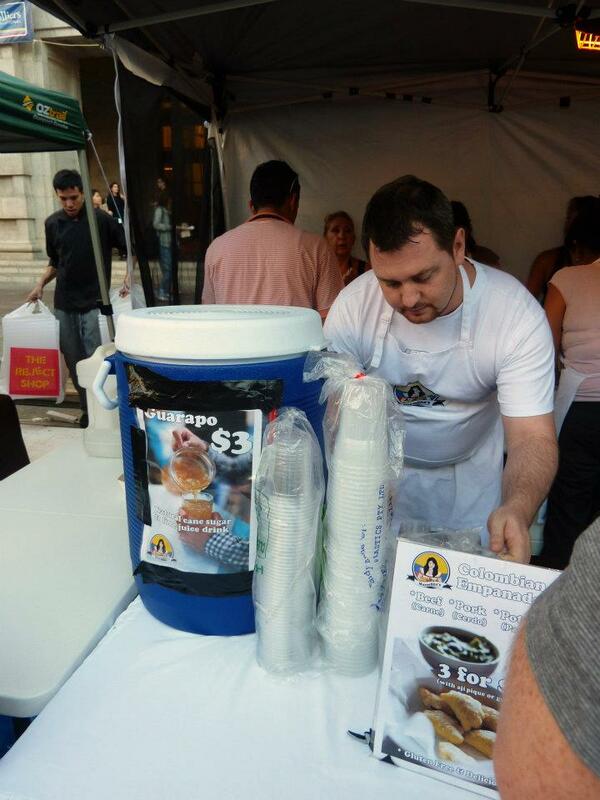 I went for the 3 for $10 option so that I could try each of the three flavours – potato, pork and lime and also beef. Then there was a choice of sauce. I got to have a quick chat with Mr Abstract Gourmet himself when I reached the front of the queue and he confirmed that the chilli sauce did pack some heat, so I decided to stick with the guacamole. 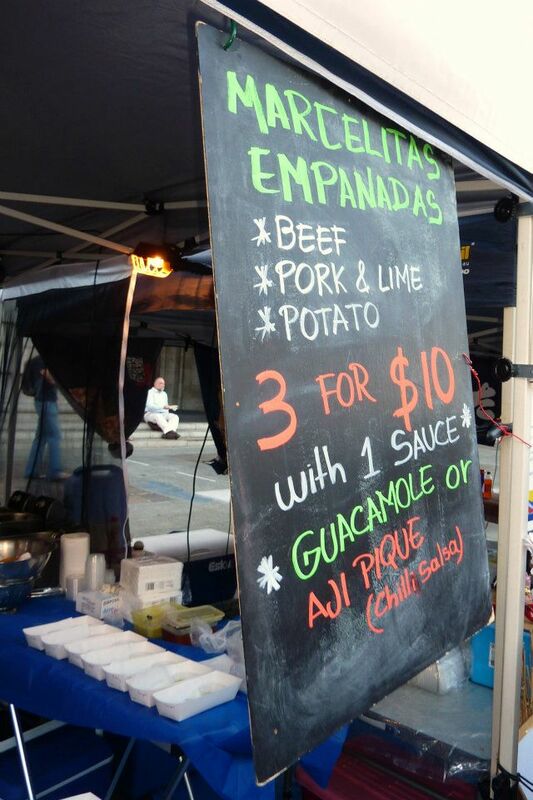 I was so happy with my trio of empanada goodness! The first one I tried was the potato and it was really nice. 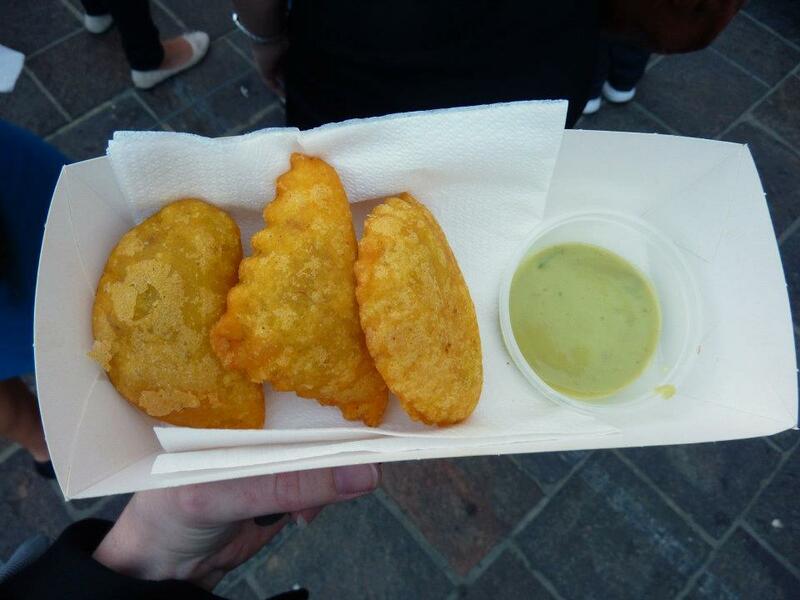 The pastry itself on the empanadas wasn’t that thick which was great…. I sometimes find with similar things like curry puffs, you can get really thick pastry which makes them quite a heavy snack. But this was ideal. The filling was very tasty, but I perhaps wished for a little more salt, but mainly because I’m a salt fiend. Next was the pork and lime. What a flavour combination! And what I really liked about it was that it wasn’t pork mince, which is what I had been expecting I suppose. It was delicious pork meat all shredded up. Very, very nice and the same was the case with the beef. They don’t scrimp on the fillings and you can really taste the care that’s been put into making each of them. They are high quality morsels and if the line hadn’t grown longer and longer I probably would have headed back for more. While we waited for my empanadas, my sister’s friend Miss K stopped past the stand next door, belonging to Maison Saint-Honore and picked up some very pretty macarons for a friend of hers. Nice girl 🙂 And as I found out the two fellows behind Maison are Alexandre Lui-Van-Sheng & Jacques Saint-Alme, who actually do macaron classes with The Cooking Professor – very cool! 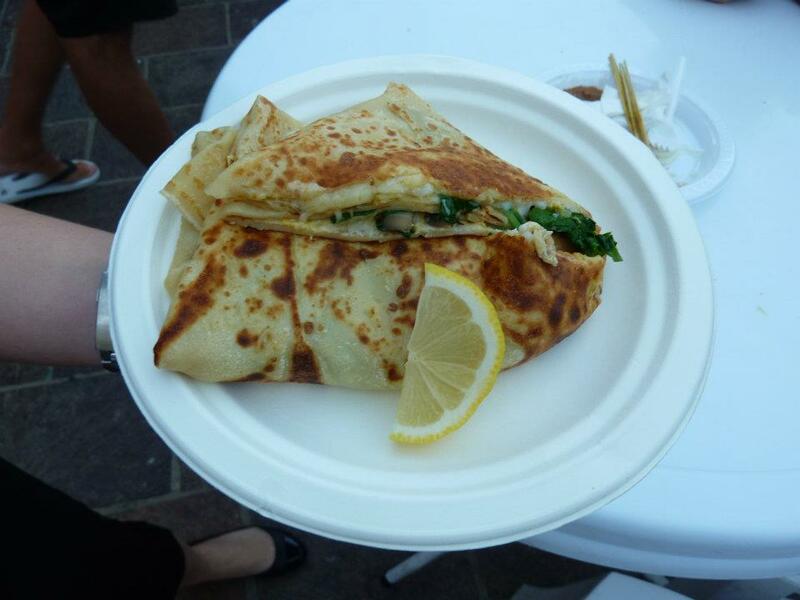 My sister decided that a crepe took her fancy so went over to order one of the savoury options, which came with eggs, cheese, chicken, mushrooms and other tasty fillings from The Hungry Crepe. 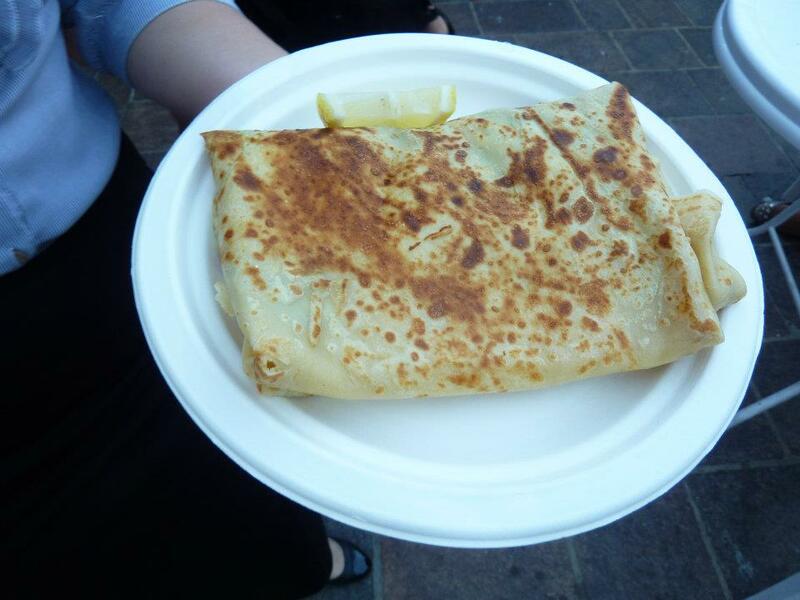 There was a range of crepes available – either savoury or sweet and as with every other stand they were doing a roaring trade. Not surprising given the bite I had tried – yum! 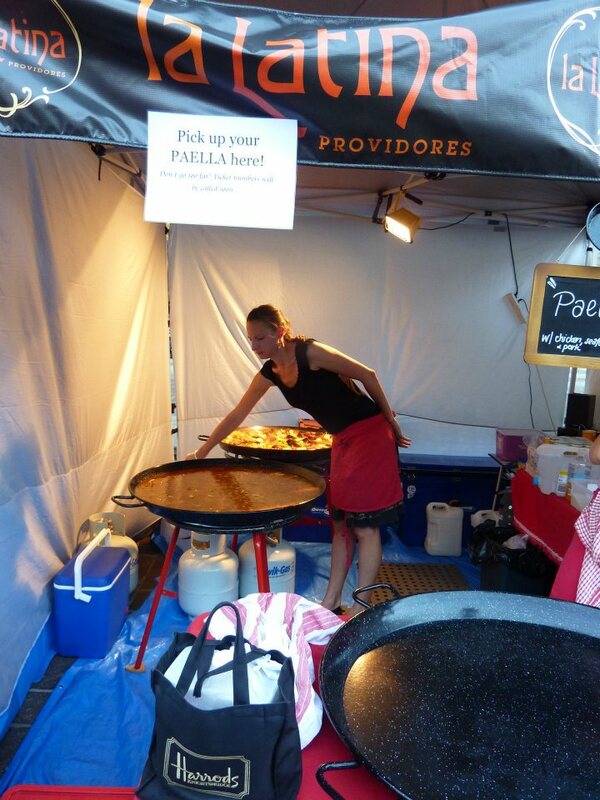 The hardest thing about waiting for the crepe was that it was right next door to the Paella stand. And damn it smelt just amazing! 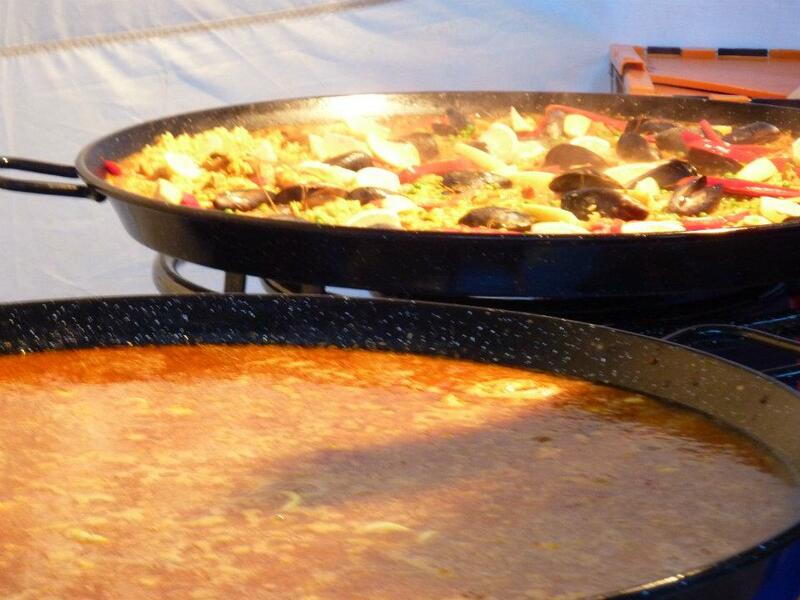 They had two giant paella pans on the go and if not for the fact that it was chicken and seafood I would have braved the queue for a bowl. For seafood fans though I’m sure you would have been well pleased with the abundance of mussels that they had included in their paella mix! Miss K locked in a tasty Turkish gozleme for her dinner. 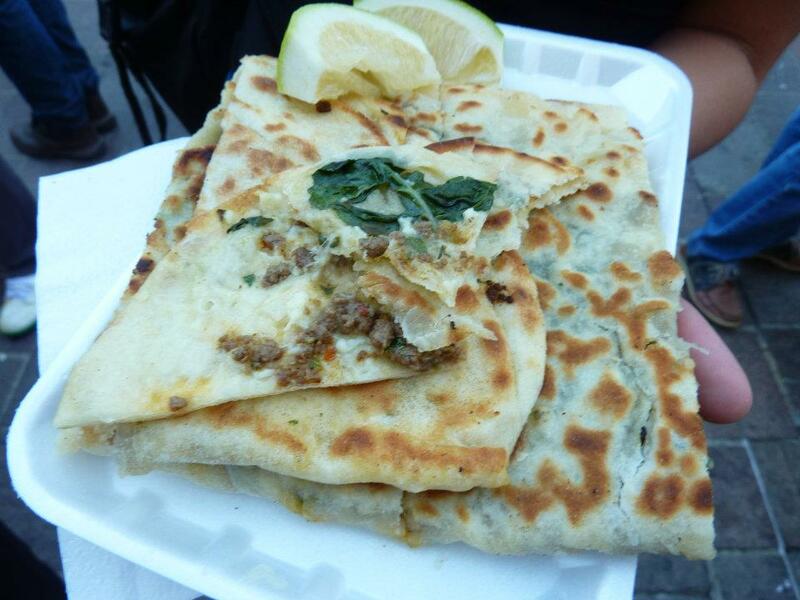 I’m a big gozleme fan and I snagged a bite of hers and it was delicious! Red hot… but delicious all the same 🙂 For those who haven’t had gozleme before they are definitely worth a go. This one was beef mince and it also comes with spinach and this amazing salty goats cheese. Not crazy salty but it just adds some wonderful depth to these Turkish treats. We continued to walk around and I even ran into some familiar faces (The Food Pornographer, Perth Food Journal and the lovely Miss A) so that was a nice surpise. 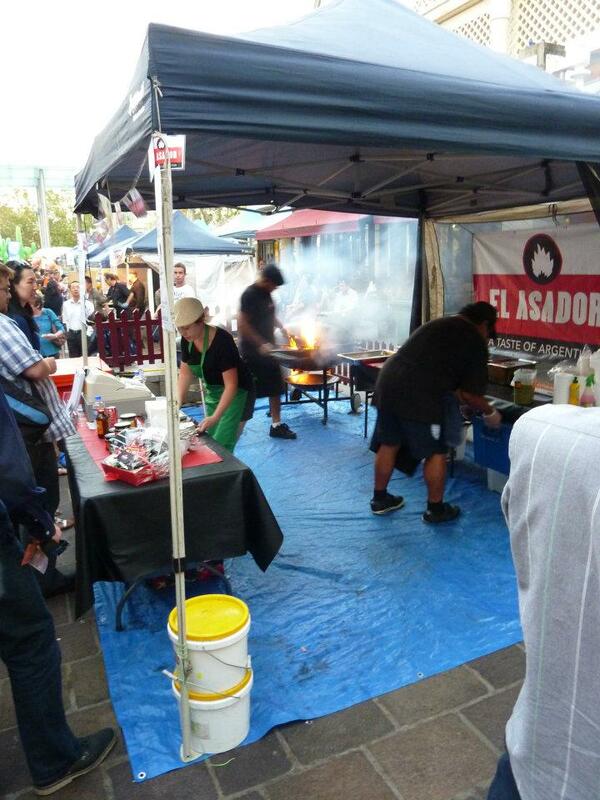 They were headed to line up for some Argentinean BBQ at El Asador which seemed to be a crowd favourite and the wafting smoke coming around from their fiery BBQ did smell divine and I’m told that it was particularly tasty and quite the generous serve. Miss K still had a little room to fill so thought a trip back to the Happy Crepe for something sweet was in order. 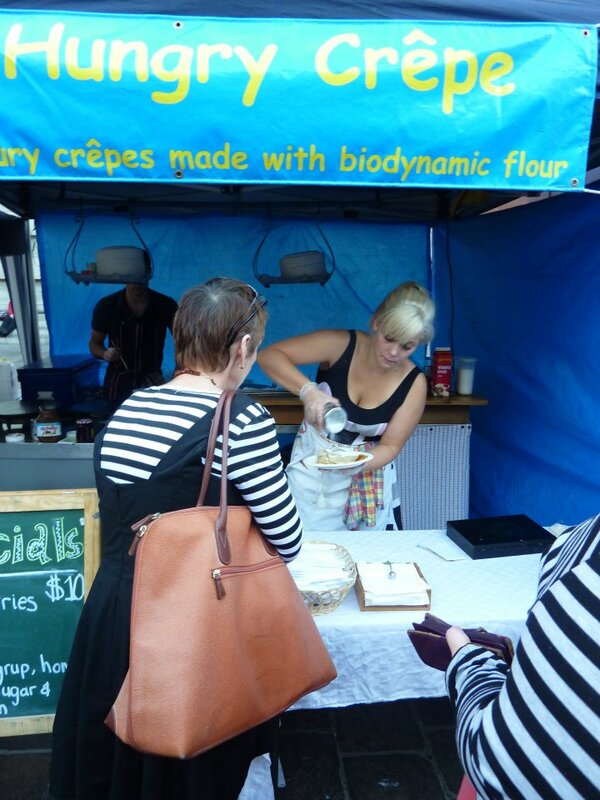 She went for a coconut crepe, which I got to try and it was just full to the brim with desiccated coconut, but it worked a treat. So yum, really glad I got to give this a go. 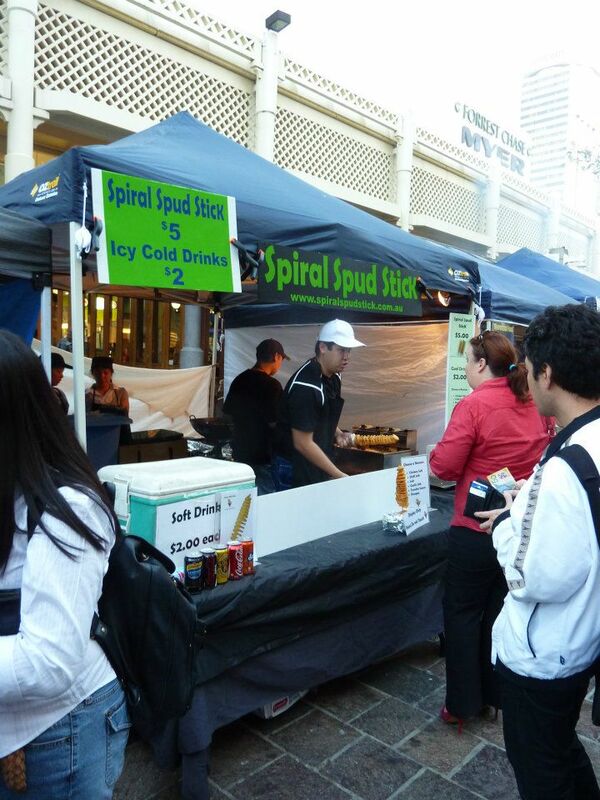 Looking around it was hard not to visit the bratwurst stand and I was more than a little intrigued by the curly potatoes on sticks…. There were interesting Japanese items on offer…. 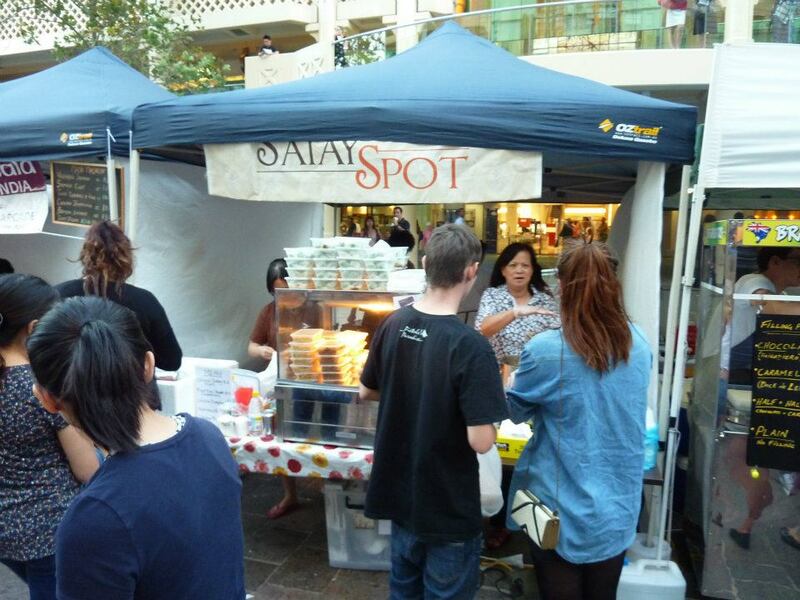 And satay that I’ve no doubt tasted just as amazing as it smelt as you drifted past. But I could only try so many things on this visit, so with a few slices of pizza to go from the Delisio stand, I headed home. With feet up on the couch I shared the slices with GG, who agreed they were very nice. Both had a delicious simplicity to them. One was garlic and fetta with mushroom and the other, another vegetarian choice (surprisingly for us meat lovers) had tomato and mushroom again. 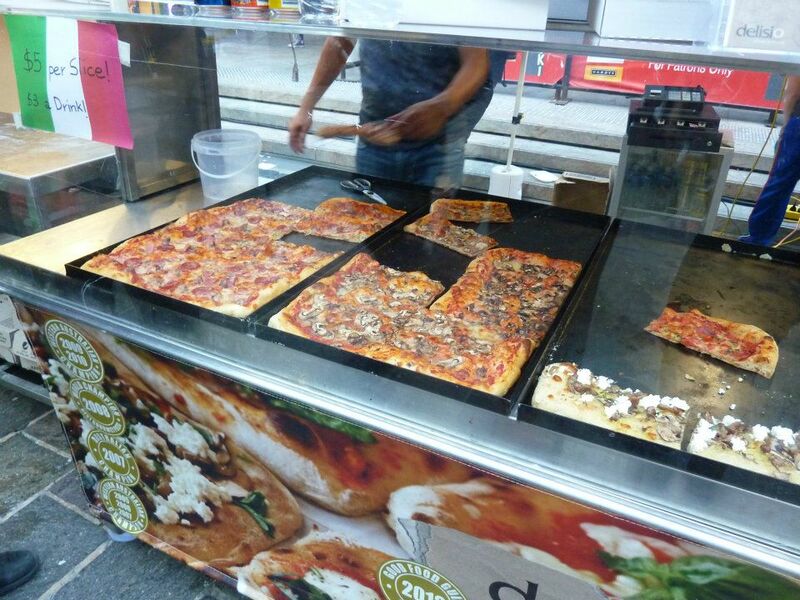 Beautiful base and fresh tasty toppings – which is two ticks in my book right there. 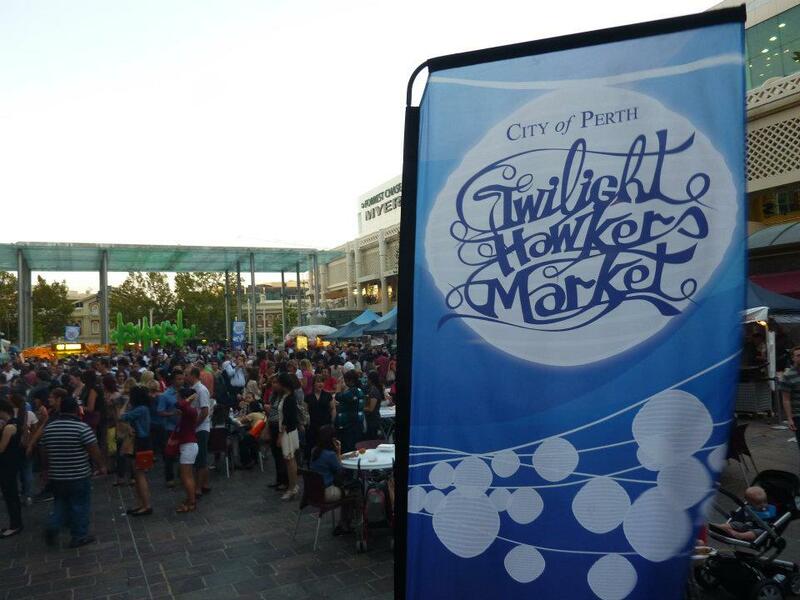 I had such a nice time at the Twilight Hawker’s Markets. 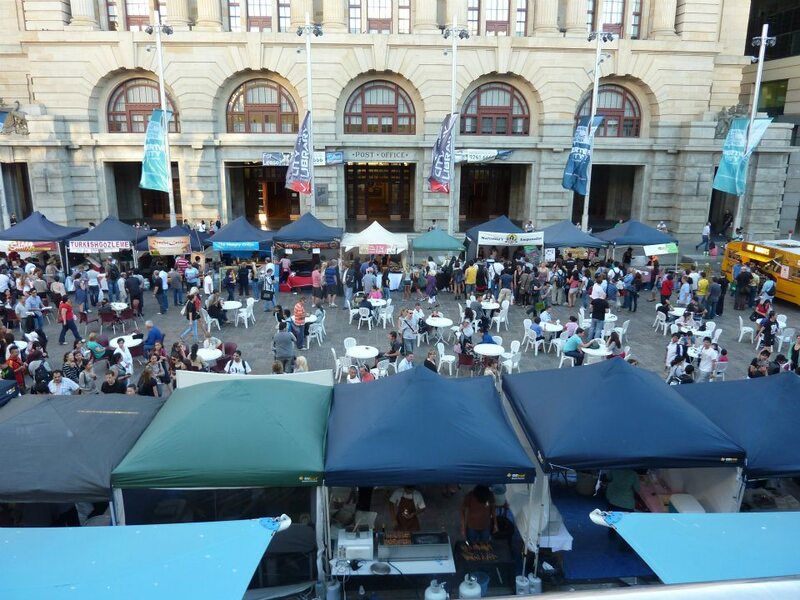 They are such a fabulous idea and really bring together so many of the food lovers of Perth and perhaps inspire a few new foodies as well. I suppose my only regret is that I left my first visit so late and with other plans already scheduled for this Friday, now I’m going to have to wait until October to go again! 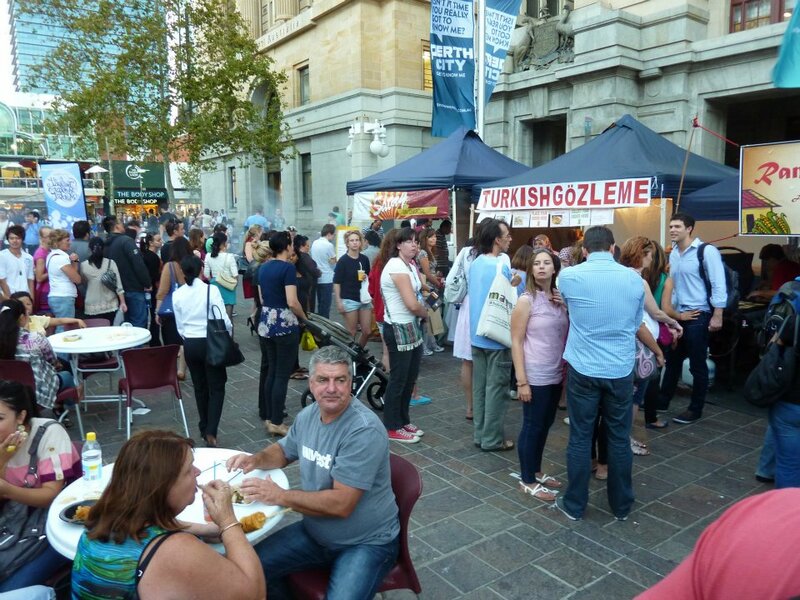 If you do have some spare time this Friday between 5 and 8 then head along to Forrest Place and pick yourself something different for dinner. Just remember to have a light lunch because with so many options, you definitely need room for more than just one type of cuisine! Yummo!